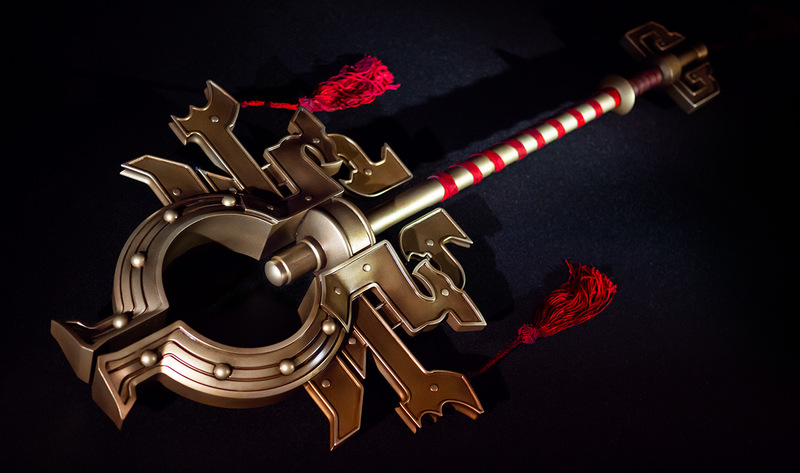 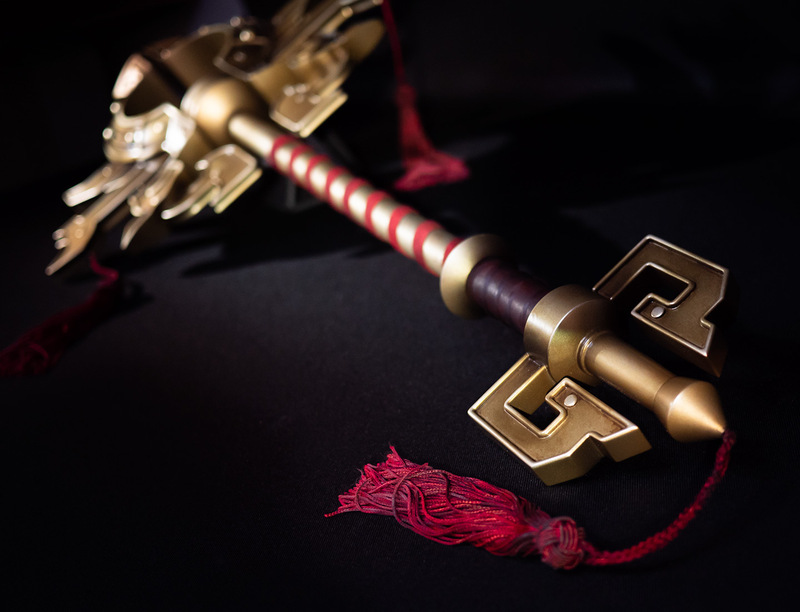 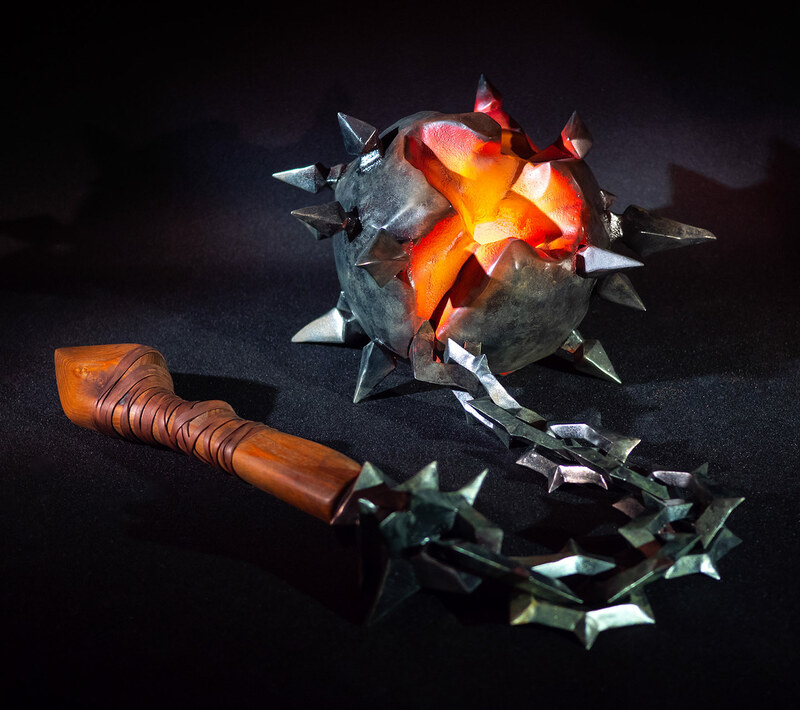 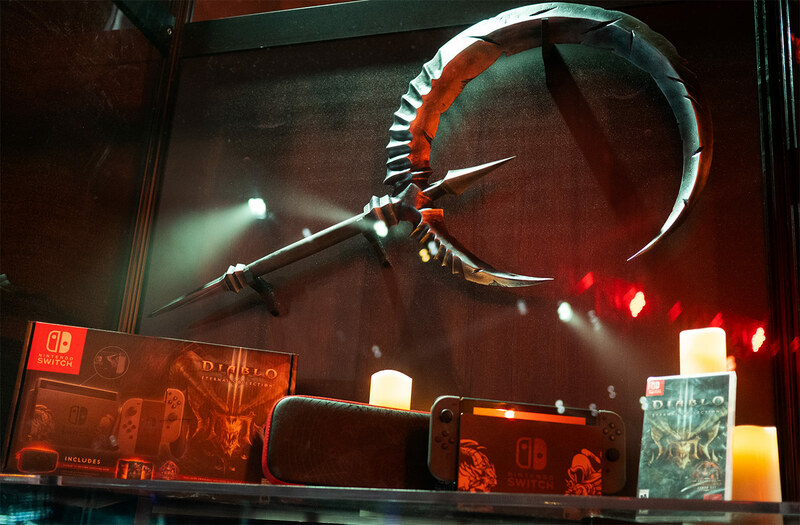 For Blizzcon 2018 and the release of the Diablo 3 Eternal Edition for Nintendo Switch, we were tasked with bringing seven iconic weapons from the Diablo universe to life. 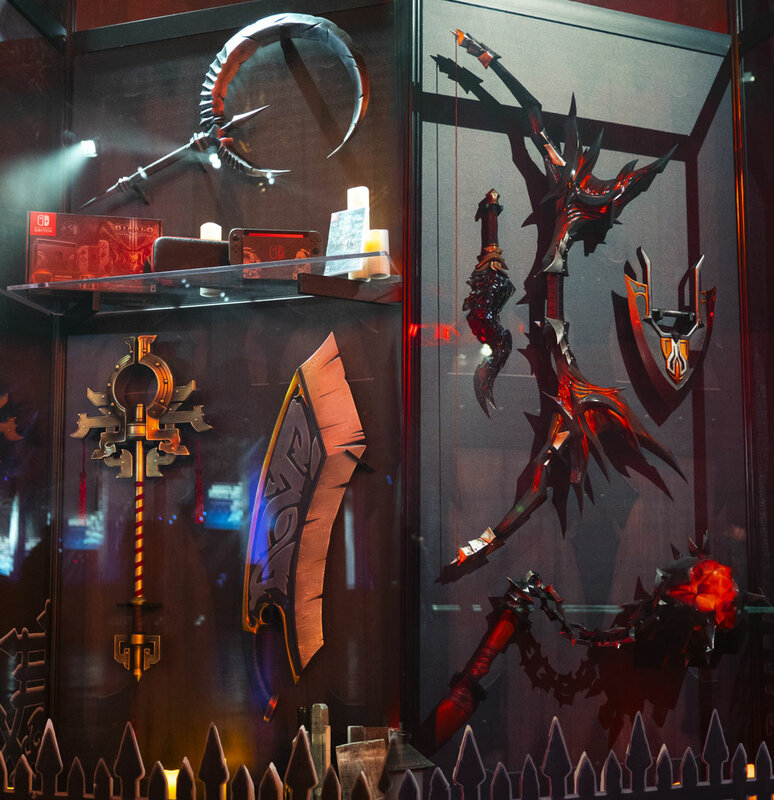 Each weapon represents one of the classes in Diablo 3 – from Barbarian to Wizard, they’re all here! 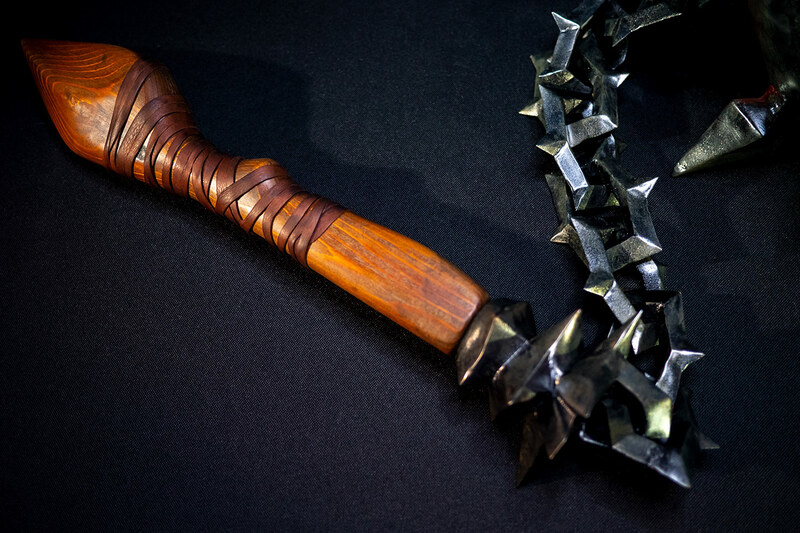 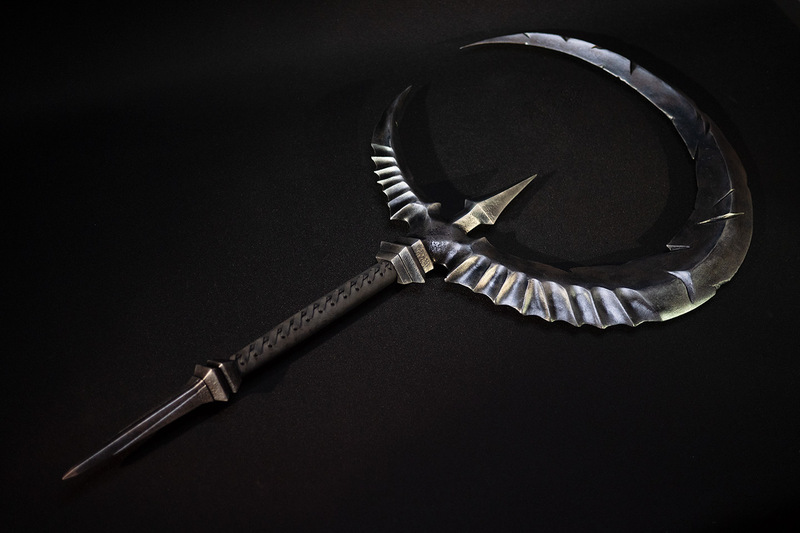 Creation of the weapons was specific to the aesthetic needs of each individual replica. 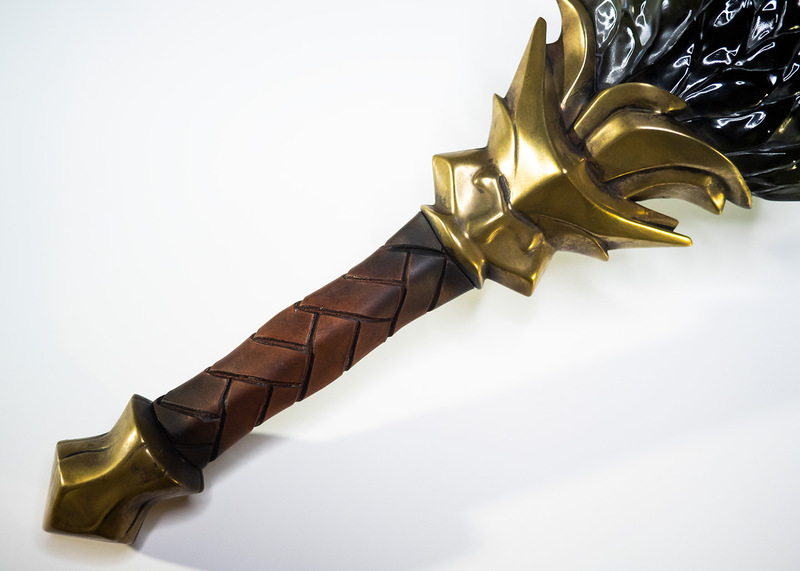 Since the assets from Diablo 3 are too small to provide realistic detail, each replica was recreated from scratch using 3D, 2D, digital and traditional drafting. 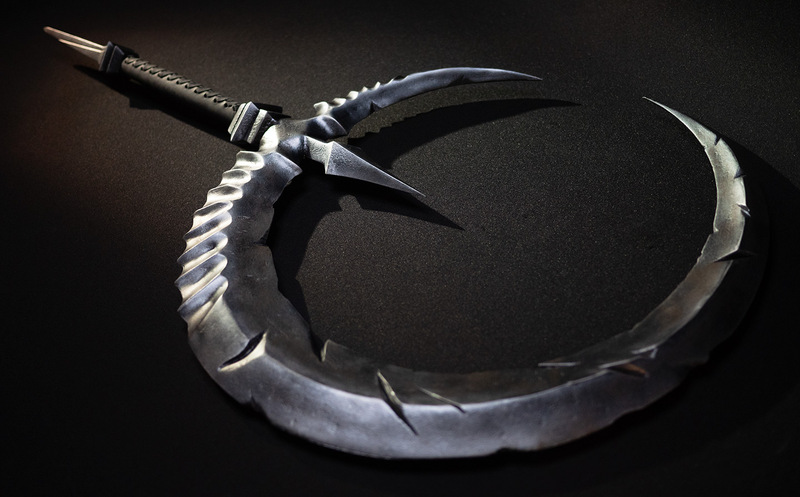 Organic weapons like Johannah’s Argument, Kridershot and the Sacred Harvester were sculpted in ZBrush. 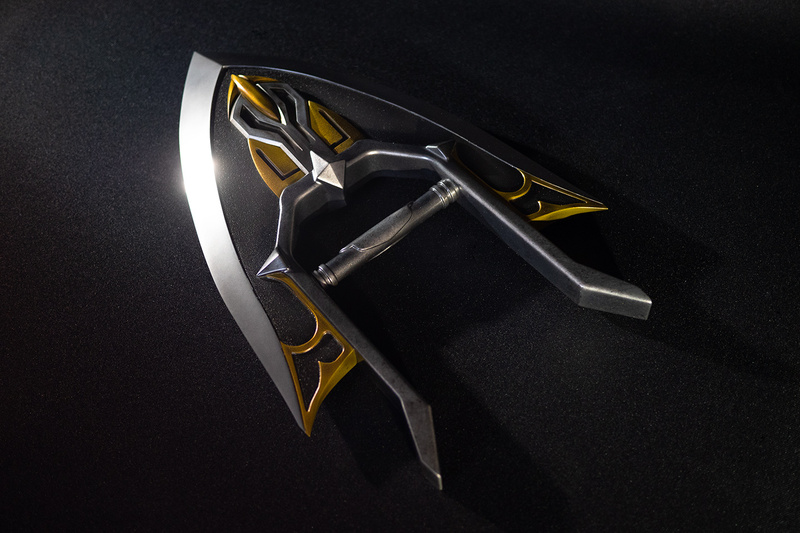 More geometric pieces like Fleshrake and the Wand of Woh used parametric modeling in Fusion. 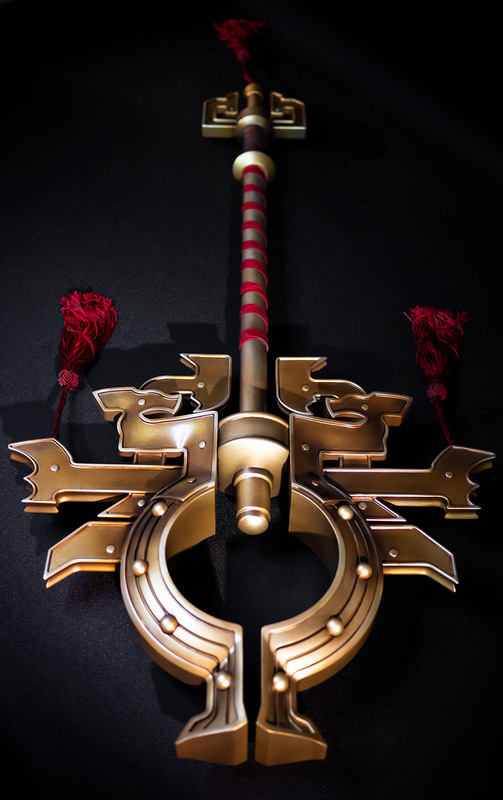 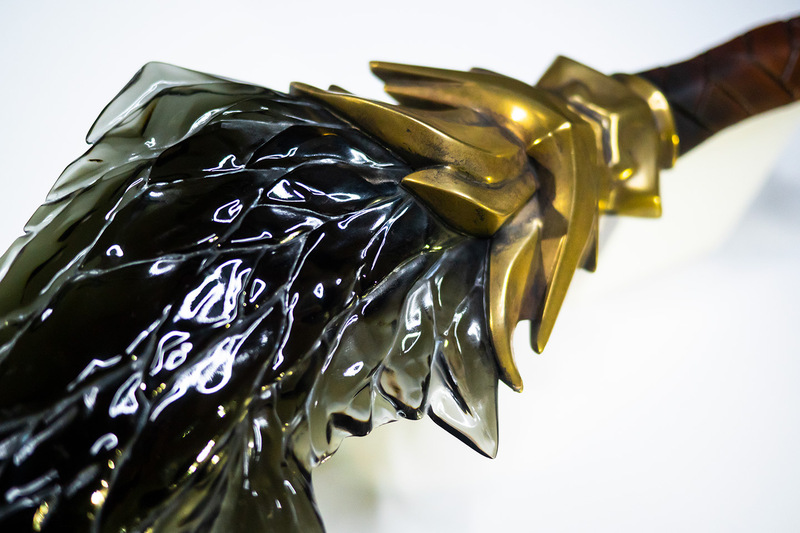 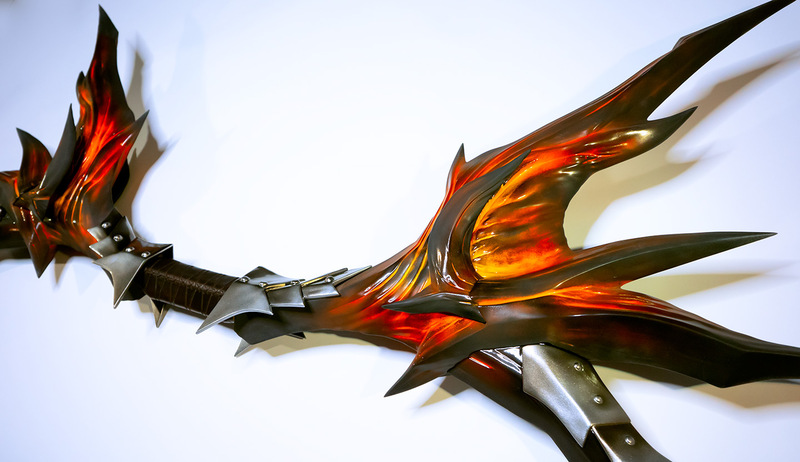 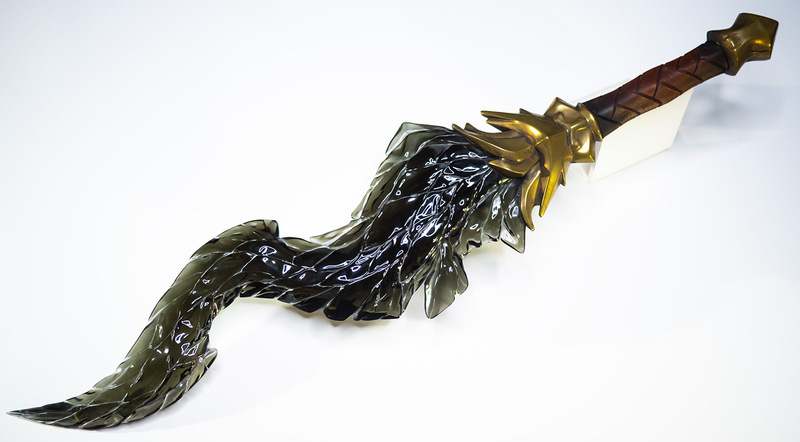 Oathkeeper and the Scythe of the Cycle were entirely hand sculpted in clay and wood. 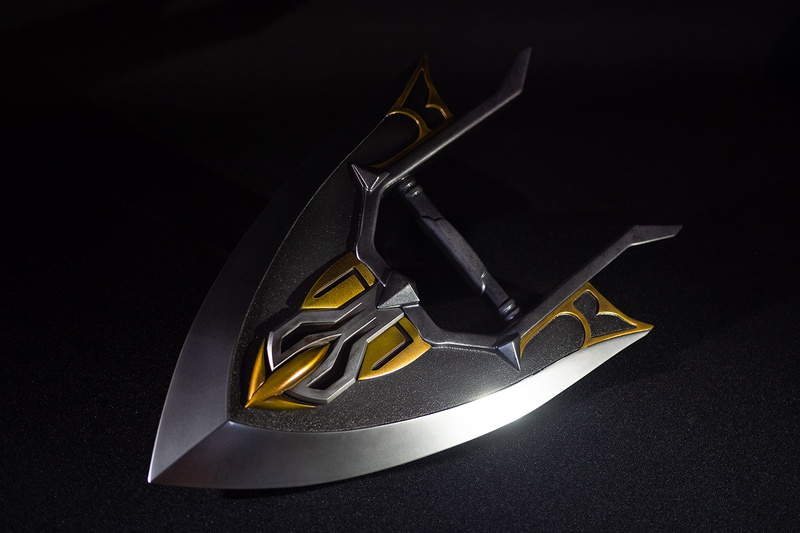 An equally varied method of production was used to create the final replicas. 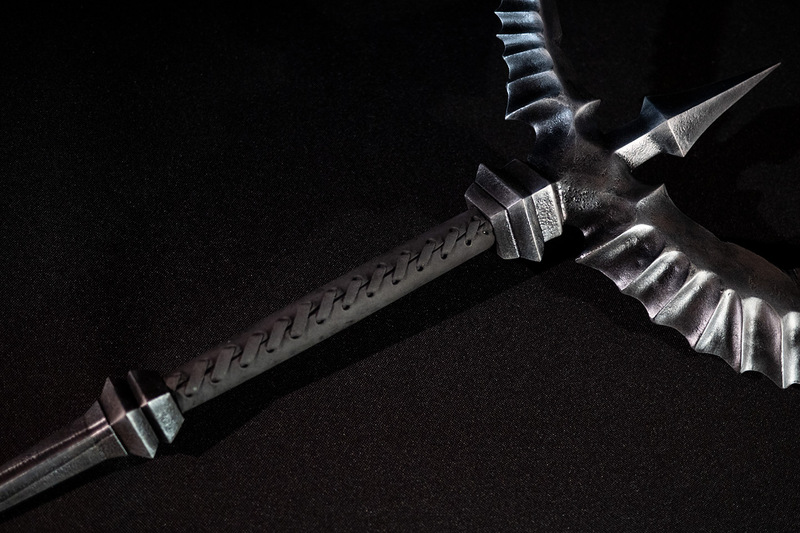 3D printing, moldmaking, clay sculpture, wood carving, a variety of flexible materials and various metal reinforcements were implemented to make each replica as accurate and realistic possible. 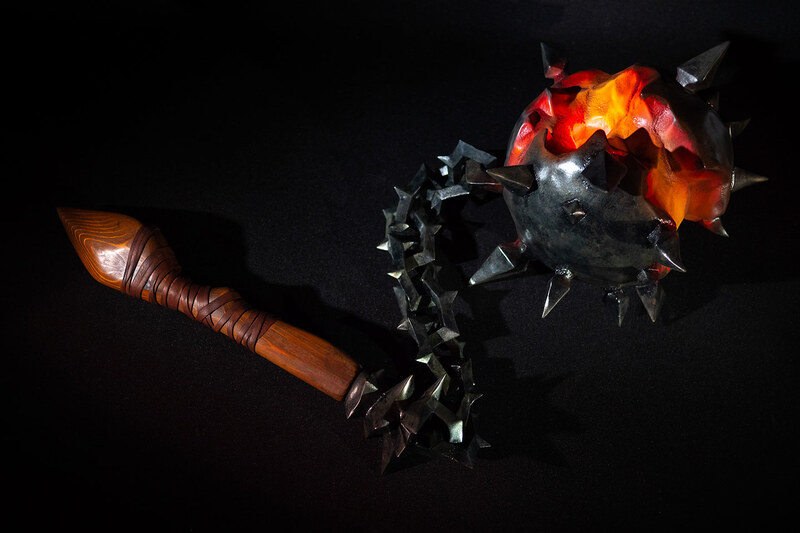 Each piece was up for grabs in a Diablo 3 sponsored scavenger hunt, and all 7 were awarded to various fans who completed the ARG. 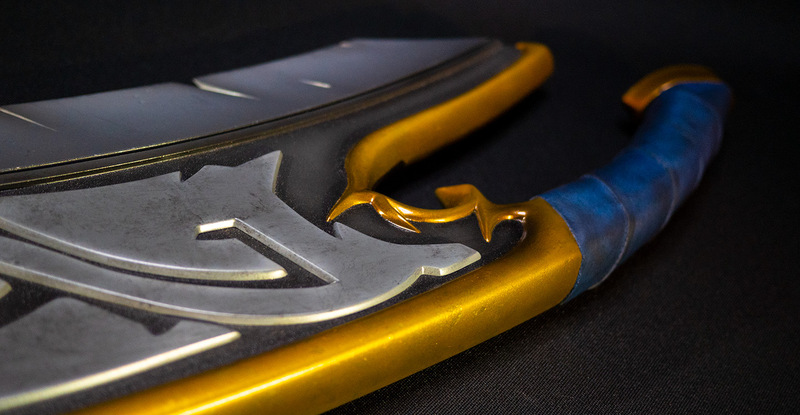 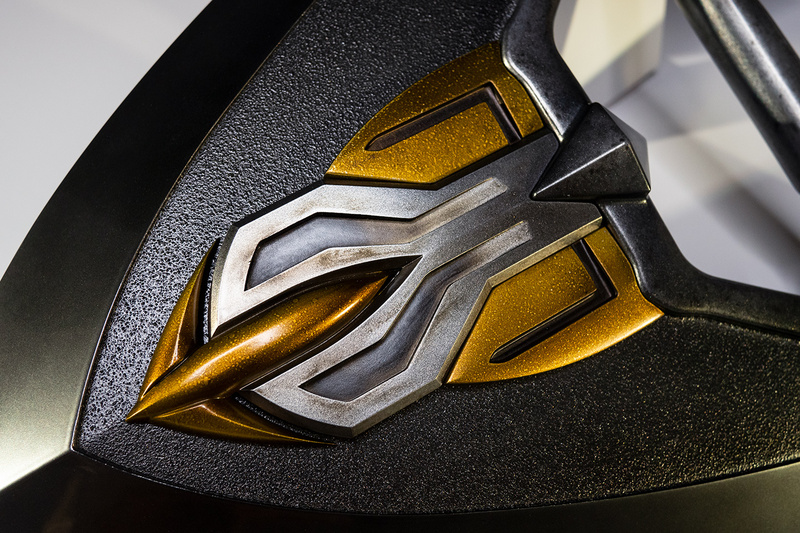 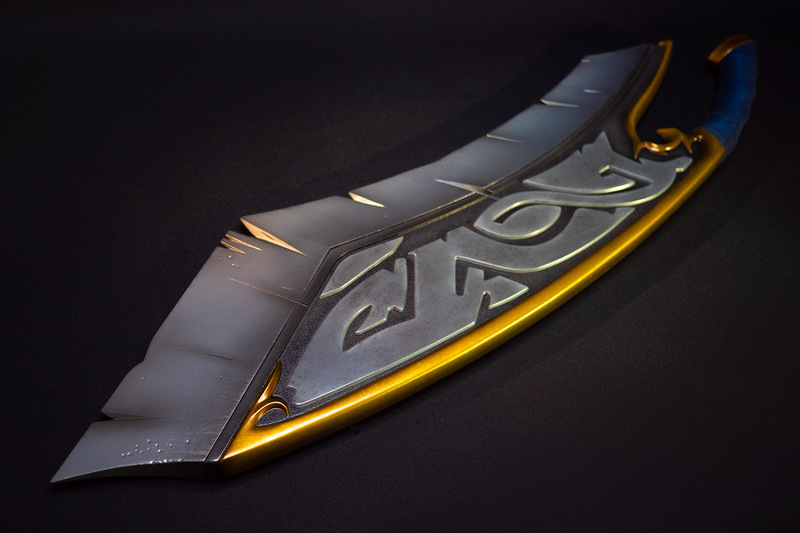 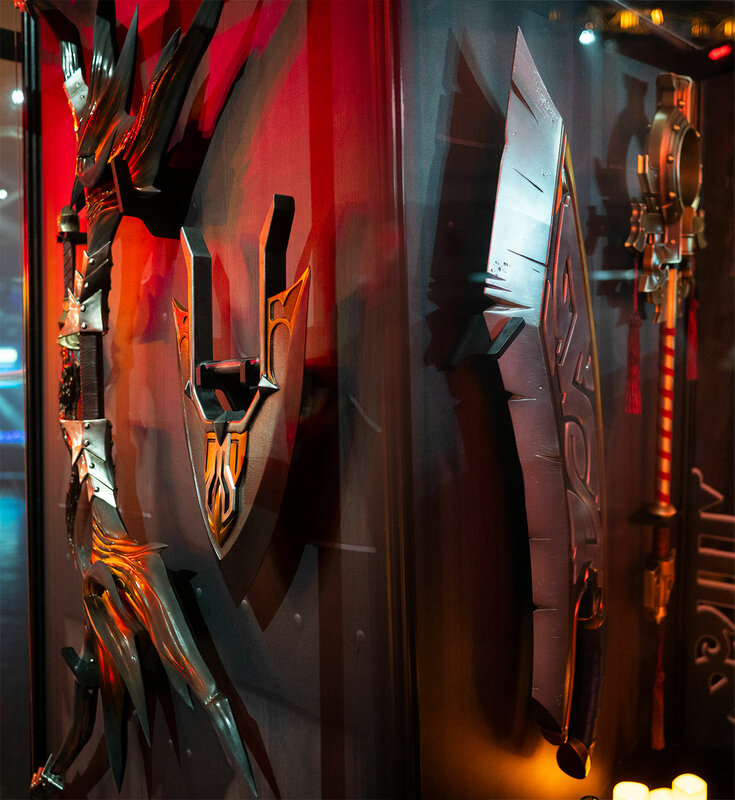 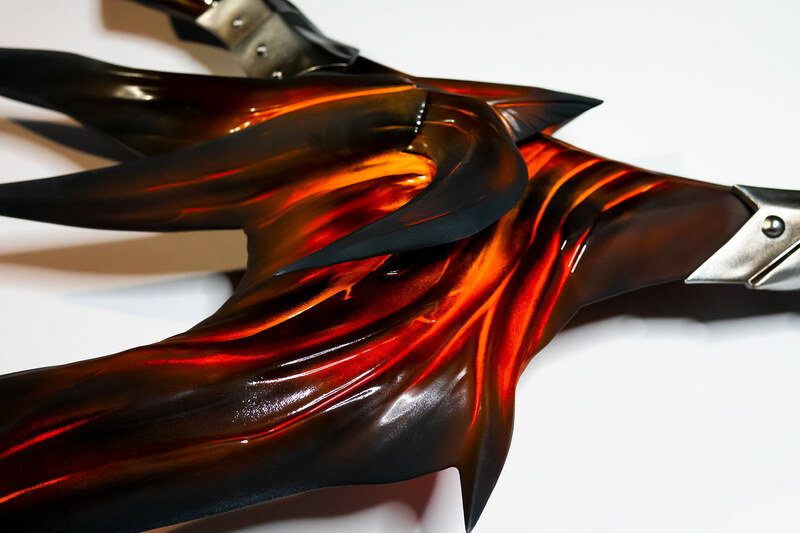 To showcase the replicas, Volpin Props provided on-site installation as well as booth prep and setup for the replicas in their display case, opposite the Diablo booth at Blizzcon 2018.